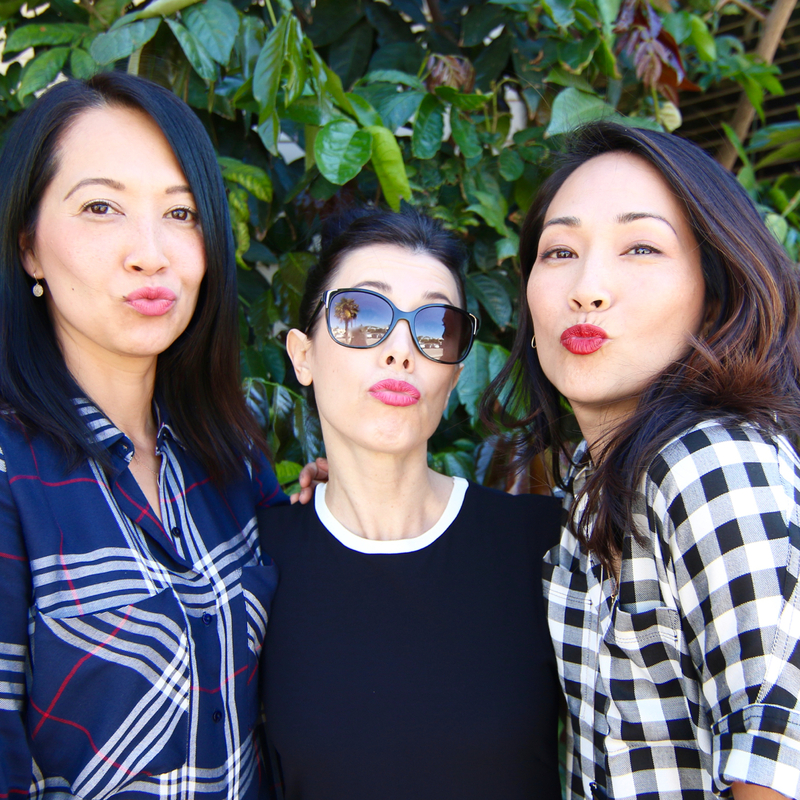 This week: I’m giving away two luxurious lipstick trios from Terre Mere. Vegan, and organic, which I LOVE, these matte lipsticks are creamy, super smooth and don’t dry your lips out. A perfect statement lip, the shades are highly pigmented, yet wearable and long-lasting. 6 lipsticks total, retailing for $39 each, in a shades of natural pinks to deep reds, this is the perfect opportunity to win them and share with friends! Plus, I’m throwing in 3 adorable heart-shaped Robin McGraw Lippy Lovey lip balms– a Freebie Friday worth over $200! I shared mine with Natalie and Allison, two friends I adore. Natalie is the woman behind @goglobaljewelry on Instagram, she is a brand ambassador for Ash + Ames, a jewelry company that empowers women artisans around the world. The jewelry is beautiful, original and does good by giving back to developing countries and allowing women to own their own businesses. I’m a fan! Allison and I have known each other for a lifetime. We met while we training to be professional dancers and attending UCLA. Most recently, she’s been an integral part of the worldwide Broadway smash Wicked and continues to perform and travel the world with the show. A talented, beautiful and hilarious gypsy to the core. To share Freebie Friday goodies with your friends, like the pic on my Instagram, tag a friend, or many, and a winner will be picked at random on Monday. Be sure you are following me to win. Special thanks to MyHabit for the Terre Mere lipsticks- and just in case you don’t win, you can always buy them here– AND if you’d like a 20% off code good for anything on MyHabit leave a comment below and 10 lucky followers chosen at random will receive promo codes! Happy Freebie Friday everyone! Love. Love. Love @myhabit. Super fun watching you on Access! You’re such the perfect match! Hope all things in life are amazing.